With a flush ceiling mount and silver leaf bronze finish drum frame that houses the three lamp bulbs. The outer edge is covered with alternating large and smaller amber and clear crystal coffin drops that will create a wonderful sparkle. Fitted with a lower glass baffle for a softer downward spread of light, held in place by a simple silver leaf screw finial. 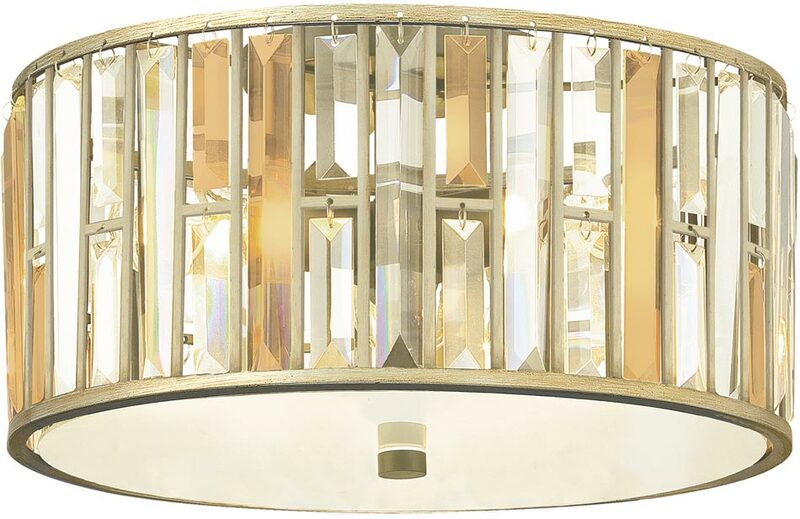 A wonderful good sized flush crystal ceiling light that will blend beautifully in most settings. Crystal has timeless appeal and this fitting will lift any room with its delicate intricate design. 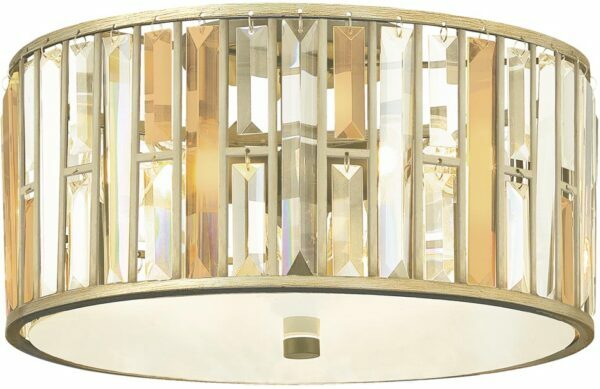 Choosing a contemporary crystal light fitting doesn’t get easier than this. Perfect for any room with a lower ceiling.